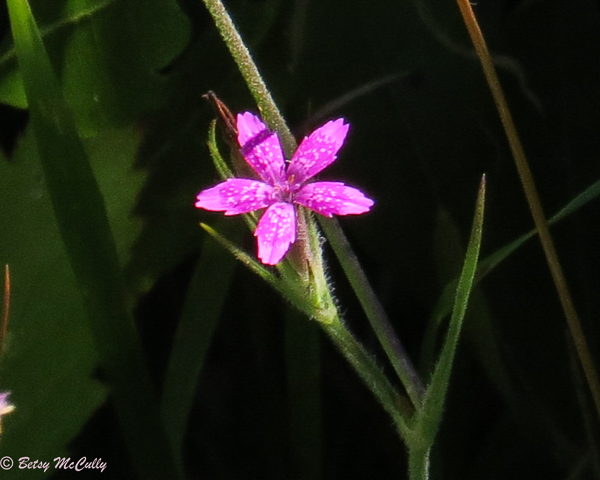 Deptford Pink (Dianthus armeria). Caryophyllaceae. Introduced. Meadows, fields, disturbed habitats. Montauk, Long Island, 2018.